MOSCOW (Sputnik) - The Saudi-led coalition has announced that it will allow the evacuation of 50 injured Houthi rebels from Yemen, local media reported on Monday. Al Ekhbariya broadcaster wrote on Twitter that the injured Houthis will be evacuated to the Omani capital of Muscat for medical treatment. The decision was made for humanitarian reasons at the request of the UN special envoy for Yemen after consultations with the legitimate Yemeni government, the broadcaster added. Previously, a representative of the Ansar Allah Houthi organization told Sputnik that Houthis were ready to take part in talks on Yemen in Sweden, but demanded that the UN resolved the issue of providing the aircraft, issuing the permit for its departure and the delegation's security. In September, the United Nations attempted to hold peace talks, however, the negotiations never took place, with the Houthi side claiming that the coalition had prevented them from leaving the country. 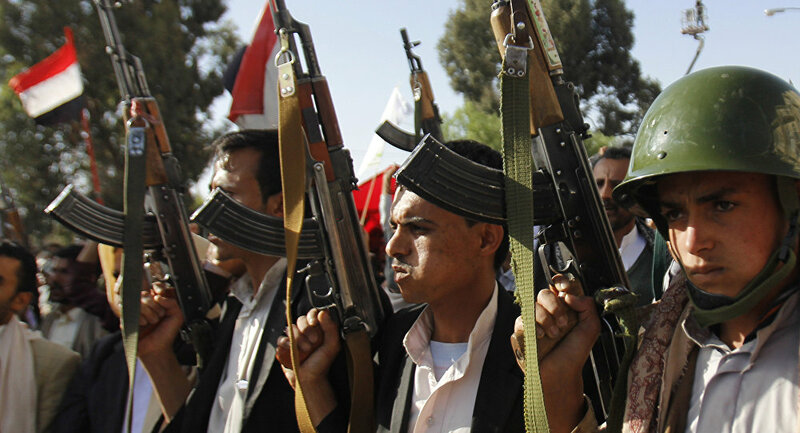 The civil war between the Yemeni government and the Houthi rebels broke out in 2015. Yemeni president was forced to flee the country to Saudi Arabia eventually. The Saudi-led coalition interfered in the conflict to prevent the Houthi's advancement in the south and has been carrying out airstrikes ever since. The conflict escalated this year in the region of Hodeida, Yemen’s largest Red Sea port, disrupting humanitarian aid deliveries to the country and putting half of its population at risk of starvation.